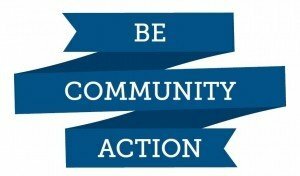 Community Action works with law enforcement, school districts, non-profits and local governments to offer workplace diversity and inclusion training. Our agency has earned awards from local organizations for our commitment to creating an inclusive environment. A level playing field is a concept about fairness. A metaphorical playing field is said to be level if no external interference affects the ability of the person to compete fairly, to succeed. Despite efforts to bring greater access and opportunity to our community, too many individuals — especially low-income, ethnic and cultural minority individuals — face greater systemic impediments when striving to succeed. Discrimination and disparities still persist; the playing field is not level. Our mission is to create access and opportunity; to eliminate external interference or barriers, and in effect, level the playing field. If your organization is interested in learning more about our training sessions, please call (608) 313-1300 or email info@community-action.org. Report that Wisconsin is the most segregated state in the nation.